Now when we talk about the decoration of the wedding, and not obligatory white flowers, white tablecloths, white chairs, and finally, all white, you can actually experiment with many other objects and accessories. 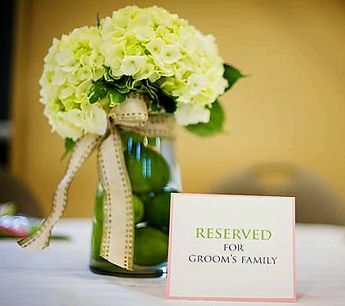 What is clear is that the centerpieces or floral arrangements are a very important part of the decor, as guests will be face to face with them, appreciating them, all the time they stay at the sit. 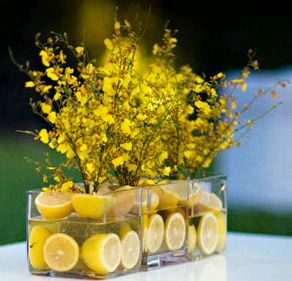 Nice combination of flowers and lemon slices, preferably for daytime celebrations, whether to use this idea of ​​night, we suggest accompany arrangement with candles. 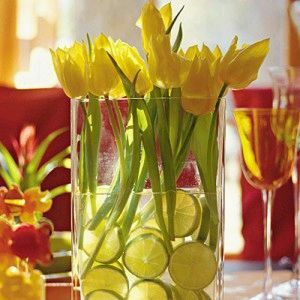 Tender proposal that combines fruits and flowers on the inside of the vase have small pears, but you can also place small apples or lemons whole, an interesting complement tape is wrapped around the container. 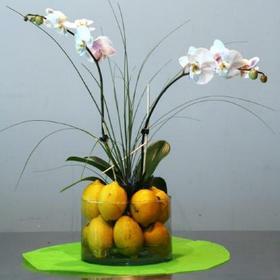 If you prefer sweet lemons or limes, here's an idea, break them in half and place them as shown in the picture, complementing the arrangement with yellow flowers. 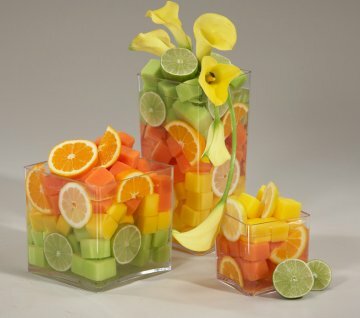 Proposal bold and colorful, it is not just sliced ​​lemons, but also have limes and oranges and other fruits into squares, the delicate touch is provided by the coves or cartridges on top. 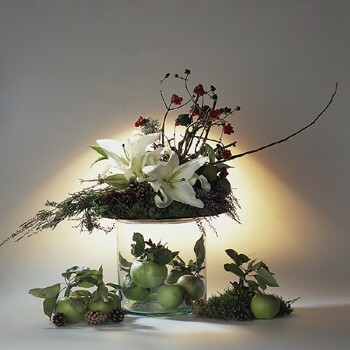 Elegant and delicate, just place the fruit in the pan base over amid flowers and branches that allow one to extend the centerpiece. 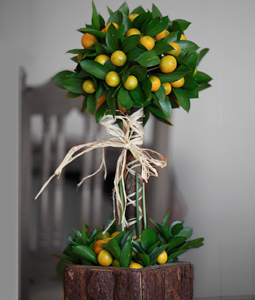 If you are one of those that likes topiaries, resembles this one, based on a rustic wooden fence filled with leaves and fruit, and at the top, the same combination but arranged in a spherical shape. Beautiful arrangement that perfectly combines apples, flowers and branches, the result, an original and elegant centerpiece . 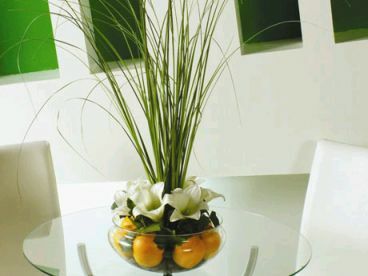 Simple, delicate and pretty, in this centerpiece you can see again the combination of fruits, flowers and branches. 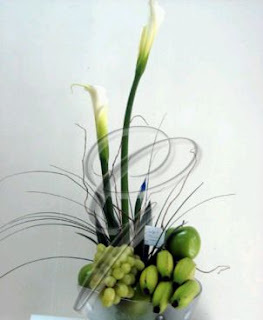 Surely if you were told that bananas could look good in a flower arrangement, you'd never believe, but this is proof that it is possible. Finally, if you prefer something more dramatic, here's a good idea. 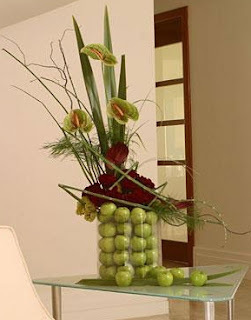 I hope you enjoyed these centerpieces and flower arrangements with fruits.